The last decade has seen the introduction of many notable classic and antique cars. Some of the most iconic antique cars just celebrated their 50th anniversary this year, including the Pontiac GTO, 1964 ½ Mustang, and the ’64 Studebaker Excalibur. While all of these cars have their place in the hearts of classic car enthusiasts, there is a group that is becoming immensely popular in very recent years. That is, Japanese classic cars. According to an article by reporter Charles Fleming of the LA Times, back in 2006 vintage car collector Terry Yamaguchi paid $5,000 for a bright orange 1973 Datsun 240Z, to sell it a couple years later for only a little more than she paid for it to begin with. What’s it worth now? A surprising $20,000! This significant price hike is not limited to the 240Zs either, according to Fleming. 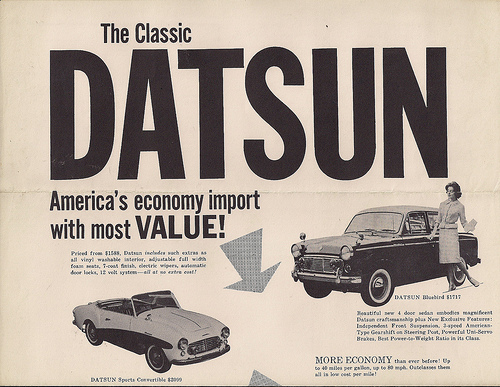 He reports that the value of Japanese classic cars has skyrocketed in recent years, noting that a 70’s Toyota Celica could cost up to $20,000 and a well-maintained Datsun 510 has the potential to go for as much as $25,000! Ironically, the growing popularity in Japanese collector cars is due in part to the fact that they’re cheaper than American or European classics. Mike Malamut, a retired car dealer who’s been collecting for 35 years, calls collecting Japanese classics a “way to enter the collector hobby for relatively little money”. This idea of collecting Japanese classics is still foreign to many, however many classic car events on the West Coast are now centered around Japanese “nostalgic” cars. A few Japanese classics that stick out to collectors in particular are Mazda’s rotary-powered pickup trucks, 80s Mistubishis, and old Skylines. 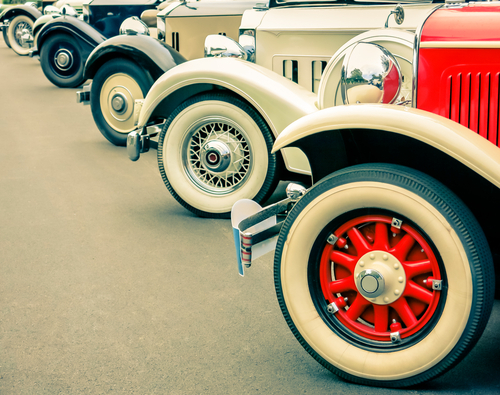 Whether your Classic Car is American, Japanese, or European, we can insure it at Condon Skelly. Since 1967, we have been helping our customers protect their classics with affordable, industry-leading insurance coverage. We are a group of collectors, enthusiasts, and professionals who specialize in insuring all types of collector vehicles. Please contact us today for more information. Saab has not always had this problem though. Saab’s beginnings were in Sweden. The car manufacturer was formed in 1945, when Saab AB, the Swedish aerospace and defense company, began a project to design a small automobile. The Saab 92 was the first production model, and was introduced in 1949. Almost 20 years later, in 1968 the parent company merged with Scania-Vabis, and ten years later the Saab 900 was launched. The Saab 900 actually became Saab’s best-selling model, with nearly one million being produced. Not only was it the best-selling model, it was considered to be the most iconic model produced by Saab as well. 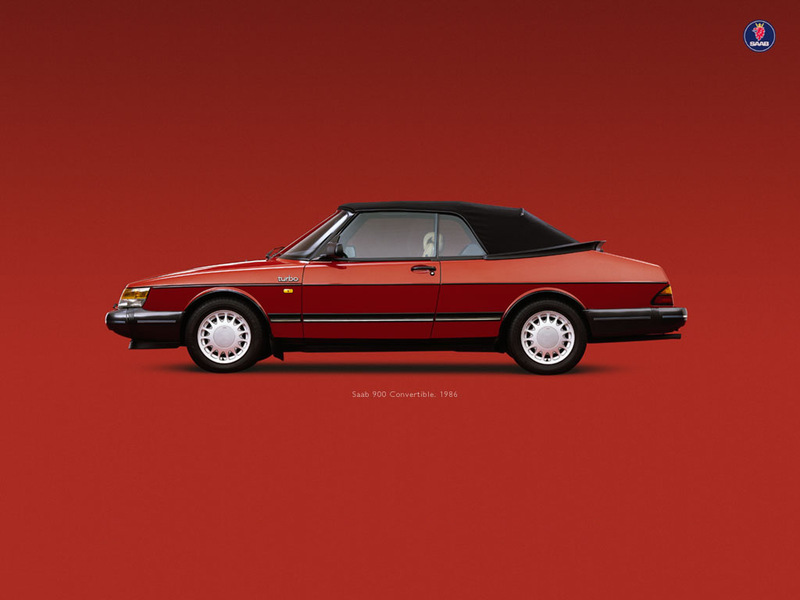 A popular convertible version followed in 1986, all of which were made at the Saab-Valmet factory in Finland, making up nearly 20% of 900 sales. Even today, the “classic 900” retains a cult following among classic car enthusiasts. Although Saab saw many innovations in the following years, including producing its 100,000th turbcharged car in 1984 and touting new design features in the 90s and early 2000s, their sales dwindled by 2009. This eventually led them to the above-mentioned bankruptcy. Only time will tell if Saab can truly make a comeback. Whether you own a classic Saab or other type of classic car, Condon Skelly has the Insurance Policies to keep you financially protected. We’ve been helping our customers protect their classics with affordable, industry-leading classic, antique, and specialty vehicle insurance since 1967. We’re a group of collectors, enthusiasts, and professionals who specialize in insuring all types of collector vehicles. For more information, please contact us today at (866) 291-5694. The Cadillac Brand was founded over 100 years ago, in 1902 Detroit, by a man named Henry Leland. Leland named the company after Antoine de la Moth Cadillac, who was a French explorer and adventurer in New France and founded the city of Detroit. Detroit eventually became the world center for automobile production in the 20th century. Following its outstanding beginnings, Cadillac only continued to introduce new innovations to the automobile industry. In 1910, they became the first company to offer a passenger car with a fully enclosed cabin, which was a huge change from the vehicles of the time. Two years after that, Cadillac released the Model Thirty. This was “the car with no crank”, and was the first production car to feature an electronic self-starter, ignition, and lighting. 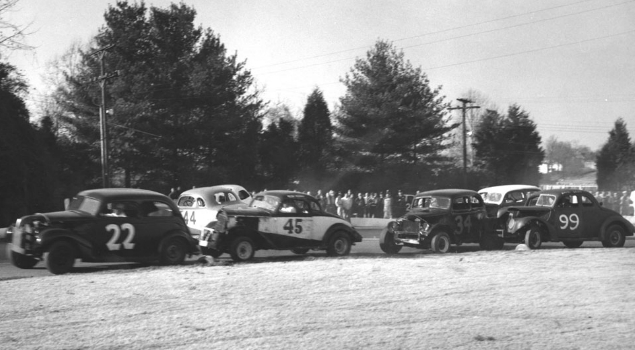 By doing this, Cadillac not only earned the Dewar trophy again, but they also were able to open the door to female drivers. One of the most interesting facts about Cadillac, and perhaps why it is still the strong brand we know today, is that in the midst of The Great Depression, while most businesses were struggling, Cadillac created the first V-type 16-cylinder engine for use in a passenger car. The engine would go on to be one of the most iconic engines in Cadillac history. Shortly after this, Cadillac released a V12 version to give buyers something between the already popular V8 and new V16 engines. 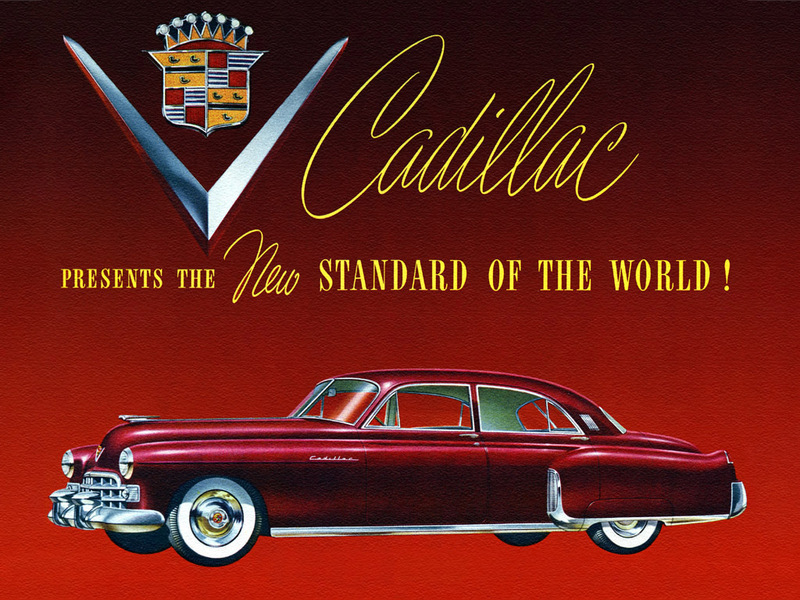 Cadillac is still known today as “The Standard of the World” when it comes to automobiles. Even today the brand is coming out with new models to impress it’s buyers. Whether you own a classic Cadillac or other type of classic car, Condon Skelly has the Insurance Policies to keep you financially protected. We’ve been helping our customers protect their classics with affordable, industry-leading classic, antique, and specialty vehicle insurance since 1967. We’re a group of collectors, enthusiasts, and professionals who specialize in insuring all types of collector vehicles. For more information, please contact us today at (866) 291-5694. In a blog post earlier this year, we looked at some of the top reasons to purchase classic car insurance. As we stated in that post, a large difference between classic and regular auto insurance is the way your vehicle’s value is determined. With Classic and Collector Car Insurance coverage, you can typically expect your car to be covered for what it is currently worth, whereas with a standard auto policy you might be lucky to get a fraction of what the car is worth, if it is completely totaled. In general, a standard auto insurance policy pays the cost of repair to the vehicle or the stated value, whichever is less. This is not the only difference between collector car insurance and a standard auto insurance policy. You’ll find that collector car insurance premiums are typically much lower than that of a standard auto policy. Of course, this is because it’s assumed a classic or collector car will be driven less and will be very well taken care of. To qualify for a collector car insurance policy, your vehicle must be protected and not used for daily use. Garage storage is typically a necessity for these vehicles. In addition, you will have much stricter mileage restrictions with a collector car insurance policy than with a standard one. Standard auto insurance coverage will be based on depreciating value, rather than the actual value that a collector car will be based off of. Of course, it’s important not to forget that you obtain full coverage for everything you have invested in the collector car in addition to just the vehicle on its own. The amount invested and the rarity of the vehicle are the two factors that differentiate a collector car from just a standard “older” car. The Chevrolet Corvette has been called “one of the greatest lines of sports cars ever built” by many classic car enthusiasts, with a history covering more than 40 years. Interestingly enough, the ’66 model almost never existed; early versions of the Corvette were often called “too American” to appeal to American sports car buyers! It was in 1955 that the model was improved and started gaining popularity, later turning into one of the most iconic cars of the 1960’s. Not only was the 1966 Chevrolet Corvette known for its style and class, it often makes cameos in movies, and has even been featured in Country songs. 1966 Corvettes, which were produced from September 1965 through July 1966, featured a newly introduced 427 cubic-inch engine. This high performance engine was actually originally listed and labeled at 450 hp but the rating was reduced to 425 hp shortly after introduction. Other than the engine, the 1966 Corvette had many features that made it different from the previous year’s model. For example, the ’66 Corvette sported a plated, cast-metal grille with an “egg crate” insert not seen in previous models, in addition to ribbed rocker panel moldings, chrome-plated exhaust bezels, and spoke-style wheel covers. These weren’t the only features that set the 1966 Corvette apart from other vehicles. This model had eliminated roof vents, replacing them with front fender sides that featured three slanting vertical air louvers. These Corvettes were available in a wide range of colors, with 10 lacquer exterior finishes, ranging from tuxedo black or ermine white to sunfire yellow and miland maroon. Interior colors varied too, with bright blue or red being popular choices. Whether your classic or specialty car is a Chevrolet Corvette or not, Condon Skelly has the Insurance Policies to keep you financially protected. We’ve been helping our customers protect their classics with affordable, industry-leading classic, antique, and specialty vehicle insurance since 1967. We’re a group of collectors, enthusiasts, and professionals who specialize in insuring all types of collector vehicles. For more information, please contact us today at (866) 291-5694.